Spring is almost here! Now let's see, what goes with spring? Bunny Rabbits, Butterflies, Bumblebees, Flowers, Hummingbirds, and the list goes on. God made all these cute little creatures. He made the little bunny rabbit with his cute long floppy ears, and fluffy bushy tail. God makes the most interesting looking animals, don't you think? Then after he made them he brought them to Adam and had him name them. 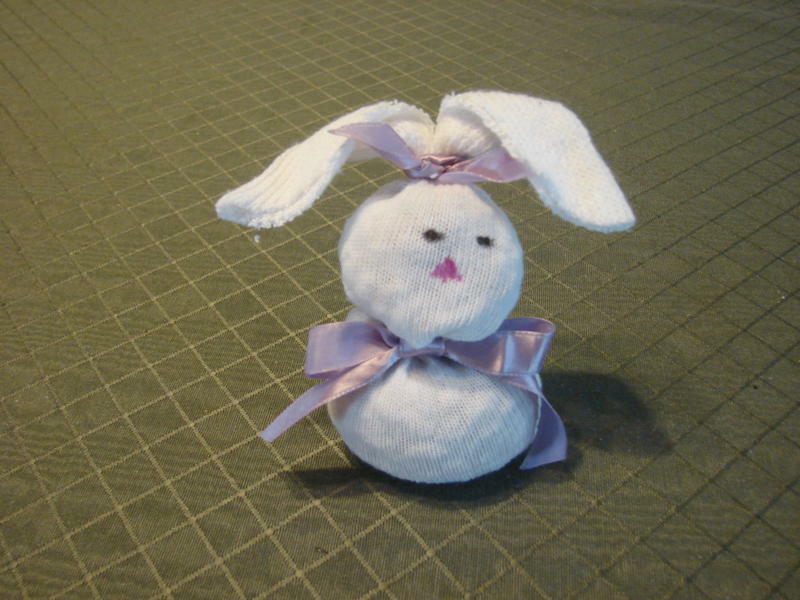 In the picture is a GOD MADE THE SPRING RABBIT CRAFT. Place a paper tube into the top of sock to use as a funnel. Fill the sock to just below the heel and tie a ribbon around it to make the body. Add more beans to make a head. Tightly wrap a rubber band at the top of the head. The remaining cuff of the sock will make the ears. Make a vertical cut through the center of the cuff almost down to the rubber band. Trim each section to the shape of rabbit ears. Cover the rubber band with ribbon. Glue a pompom on the back for the tail. Draw the nose and eyes. Or, cut them from felt and glue them on. You can also make large teeth and glue them below the nose.